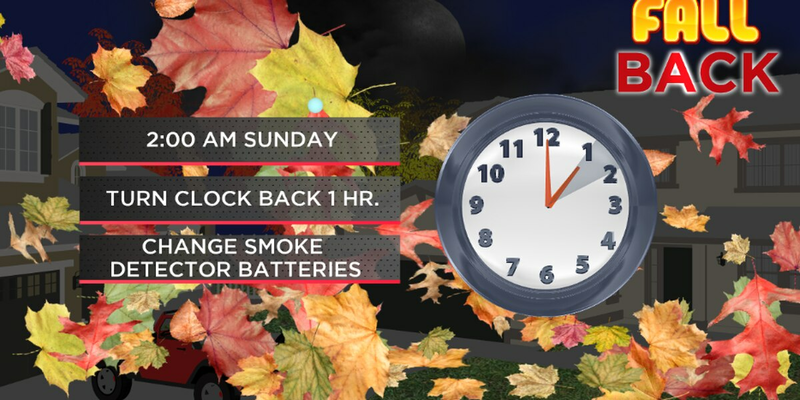 CLEVELAND, OH (WOIO) - Remember to turn your clocks back Sunday Nov. 6. It's a good idea to set your clocks back by one hour before going to bed on Saturday night. Daylight saving time officially ends at 2 a.m. on Sunday. So, when the clock strikes 2 a.m. it's really 1 a.m.
Interestingly, Daylight Saving Time is not observed in Hawaii, American Samoa, Guam, Puerto Rico, the Virgin Islands, the Commonwealth of Northern Mariana Islands, and Arizona. The concept of Daylight Saving Time was first introduced by Benjamin Franklin. However, it wasn't adopted until World War I by Great Britain, followed by the U.S. shortly after. The State Fire Marshal reminds Ohioans to change the batteries in your smoke alarms at the same time. You should make a habit of changing the batteries in your smoke detectors at least twice a year – at the beginning and end of daylight saving time.